Today when talking about music, people tend to go to iTunes, the world's best digital music jukebox from Apple, to listen to various kinds of music. With iTunes, you are reaching a music library where thousands songs are right for you to pick up within a click. On the home page of iTunes, people can easily find the hottest free iTunes music downloads as well as the latest top singles of the week. It's easy and come with rich resources. However, music is anything but cheap. Each iTunes song download comes at certain price. It's okay to pay for music a couple times, but it not a good solution in the long run, and that is why to download iTunes music free is great. MacX YouTube Downloader - Best free iTunes music downloader to free download iTunes music, including MP3 new songs, HD MP4 music videos etc from 300 more music video sites YouTube, Audiomack, SoundCloud, Grooveshark etc. Fast speed, 100% clean and safe! iTunes 12.2.1 Released to Fix Apple Music Issues- Why Bother? Download iTunes Music Free Now! Recently Apple rolled out Apple Music, which allows users to reach any song on demand, make playlists in higher quality at $9.99 per month. Many users complain that iTunes would mislabel matched songs from its iTunes Match service and prevented iTunes Match subscribers from signing up for a subscription to Apple Music and iTunes 12.2.1 is introduced to fix the bugs. However, users still have trouble with the latest iTunes version like iTunes 12.2.1 refused to allow the downloaded file to be returned to the iTunes library, or iTunes won't play music at all. It shouldn't be complex to play iTunes music free. 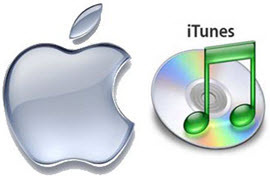 Learn the free itunes music download guide below. To get and download free music on iTunes MP3 (iTunes 12.2.1), go to the homepage of iTunes Store and click "Music" on the top of the screen. Then go to "Free on iTunes" on the interface. Or you may just click "Free on iTunes" from the Quick Links list heading on the right-hand side of the iTunes Store homepage. Then the page features all sorts of free content, including music, movie clips, TV shows, apps, and even "new and notable" podcasts. 1. To download free songs on iTunes directly, click the gray Free button. Sure an iTunes account is a must to start free iTunes download. No-cost items in the Free On iTunes section are usually available for around a week, so keep checking the page for updates. 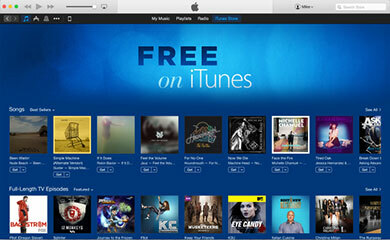 You can also follow the Free iTunes Downloads blog to catch up with the latest items for free iTunes music downloads. 2. Besides to download MP3 iTunes music free, music-oriented podcasts are also available for free streaming or download on iTunes. Music podcasts are similar to pre-recorded radio shows in that they include songs and commentary. Go to the iTunes Store homepage and click the "Podcasts" drop down menu on the top bar. Choose "Music" and then you can access to all the iTunes free music podcasts. To subscribe to a podcast, click the "Subscribe" button next to the title, and new episodes will download automatically. You can also download past episodes by clicking the "Free" button next to an individual episode on the podcast's home page. Through you can enjoy the benefits that come with free iTunes music download, like enjoy and discover new music as many times as you want as they are free, the above method to download free iTunes has its drawback, which forces users to look for other ways. In the free iTunes music zone, only very limited popular songs are available. In other words, most of the free songs on iTunes are from artists not well known to users and users' beloved music from popular singers will come at certain price. Besides, the free items on this section also be available for only a week. Yes, many users are thus left with no choice but to seek for othe way to download itunes music free. Fortunately, free iTunes download is not the only way to get free music. In addition to iTunes (iTunes 12.2.1), there are many other great free and legal online music download sites like YouTube. Scroll down to get the free music download option than free iTunes music download. As a world full of sites offering music and songs in MP3 audio as well as HD MP4 video etc, like YouTube, Vimeo, Vevo, SoundCloud and many more. Which means, you can download any iTunes music free from online music sites with the help of a proper tool rather than download free music from iTunes. To exercise free iTunes music download alternative, here MacX YouTube Downloader is highly recommended. With this YouTube downloader, it is able to download SD and HD (720p, 1080p and 4k UHD) music videos from 300+ online sites and save them in different formats, resolutions and sizes, like MP4, FLV and WebM for flawless playback on your mobiles. Step 1: Download and run this free iTunes music downloader for Mac or head to download Windows version. Copy and paste the URL of the iTunes music on the music sites. Then just click "analyze" to load the kids song's information. Or you can simply click "paste & analyze" button such that the program will automatically detect the song information. Step 2: Choose the video format, resolution and file size. You can download free songs on iTune for free in FLV, MP4 or WebM format. Tips: This free iTunes music downloader gives you the capability of automatically adding the output MP4 video to iTunes Library so that you can further import it into your iPhone or iPad for playback limitlessly. Step 4: Click "Download Now" to start the process of free iTunes download. Tips: for those who want to free download iTunes music to MP3, AAC, iPhone ringtone, WMA etc, the higher version MacX Video Converter Pro will be the best free iTunes music downloads tool which can not only free download iTunes songs, top iTunes songs, other music, songs, clips from YouTube, Vimeo, Dailymotion, Vevo and 300 more sites, but also convert the downloaded iTunes songs into various audio video formats like MP3, AAC, AC3, iPhone ringtone, MM4, AVI etc for freely playback on your mobile devices iPhone, iPad Android. MacX MediaTrans, a music transfer & manager app can help a lot in transferring music from iPhone to iTunes, and vice versa. It can also transfer and convert DRM iTunes music from iPhone, iPod etc. to Mac/PC in DRM-free format. Other nice features include customize free iTunes music to ringtone for iPhone, edit music playlists and other media file transfer like videos, movies, TV shows, audiobooks, podcast, photos etc. As an alternative to download free itunes music, there are many other best music streaming services that help users to enjoy free iTunes music like Spotify, Pandora, Rdio, Google Play Music etc. If iTunes doesn't work well for you, you may switch to the other music services. However all of them need certain fees for music streaming or download with the help of free music download apps. So if you want to enjoy free music on itunes, Spotify, Rdio, Pandora etc, download as per the guide above.